Health	True Calm – Is it the best and deliver positive results? Forskolii root extract is the main ingredient in this weight loss supplement. There are a few of these out on the market with this as the featured ingredient. It has a lot of different uses in Ayurveda medicine, but has historically been used for health issues relating to the heart. Foskohlii root extract is completely all natural and when used correctly should not have any negative side effects to your health. 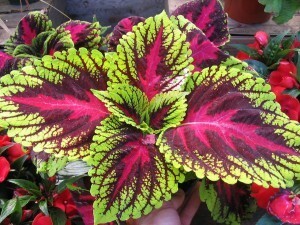 It comes from the Coleus Forskolii plant and now in the new millennium has been “discovered” as a key to unlock weight loss results like never before according to major television talk show host Dr. Oz. Does it really help users lose weight? The company MaritzMayer Laboratories does. They aren’t a very popular or heavy hitting company in the pharmaceutical industry. There seems to be a history of poor customer service that users have been very vocal about on the internet as they have been dissatisfied with the product despite its high price. The business has received a C- rating from the Better Business Bureau due to all of the complaints and claims brought against them. How Much Does Forskolin 1020 Cost? Forskolin 1020 comes in 3 different quantities with a 30-day money back guarantee. The company does deduct 20% of your refund for shipping and restocking. If you open your bottle and try it though, you cannot get your money back. You can only return the product within the 30 days if you have never tried it. This is where the scam comes into play. You might think this is a risk free purchase from glancing at the website, but it is absolutely not. Is it worth it the risk? Since this is a risky purchase with no refund available once you try the product, is it worth the risk? According to reviews it isn’t. Any business with such a low business rating may be one you want to avoid. The product has no scientific or clinical evidence to support the company’s claims. They seem to just be jumping on another dieting trend to try and make money.